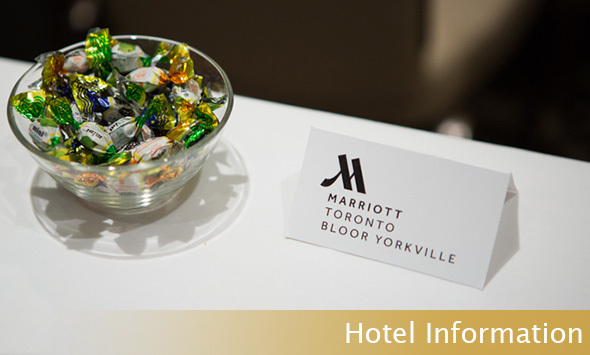 The Toronto Marriott Bloor Yorkville Hotel has been host hotel for the past 3 executive EDGE conferences. Newly renovated this luxurious downtown Toronto boutique hotel has direct underground access to the Yonge and Bloor Toronto subway systems as well as ample on-site parking (valet or self park). Enjoy Yorkville's shopping, dining, museums and entertainment quarter from this prime downtown Toronto location.